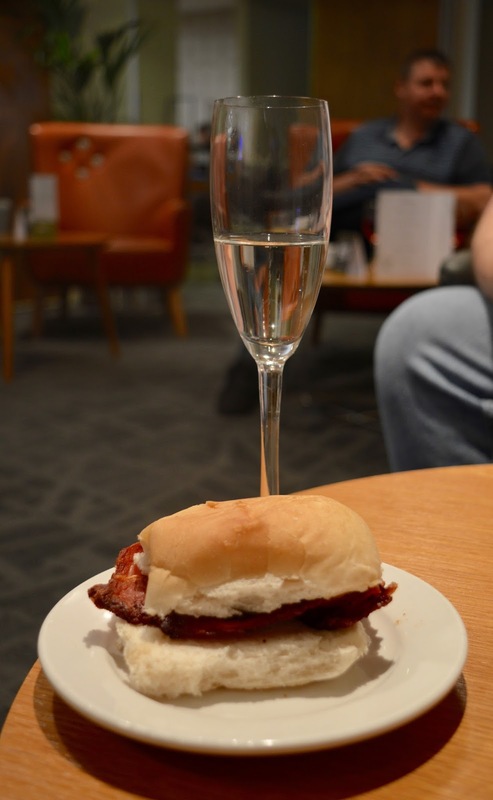 Is it worth booking an Escape VIP airport lounge for breakfast if you have a morning flight? I've always fancied myself as one of those people who looks all glam and put together at the airport, spends the whole time in an airport lounge and is just effortlessly chic. 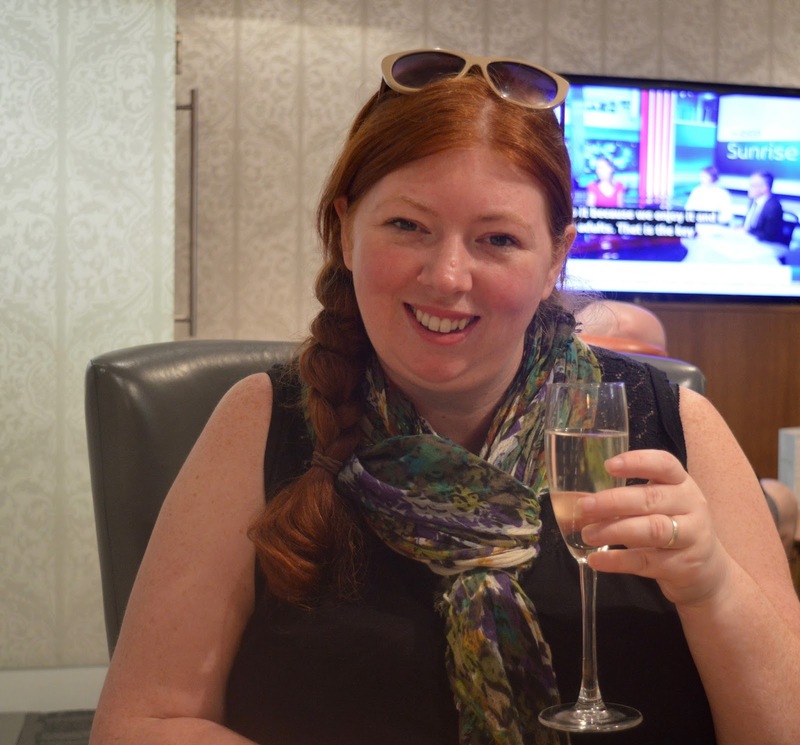 I am never going to be that person but during our recent trip to Cuba, Steve and I decided to make the most of being 'child free' and booked ourselves into the Escape Lounge at Terminal One, Manchester Airport. Children are actually welcome in the Escape lounges but personally, I think the experience is better without kids (don't shoot me for saying that). 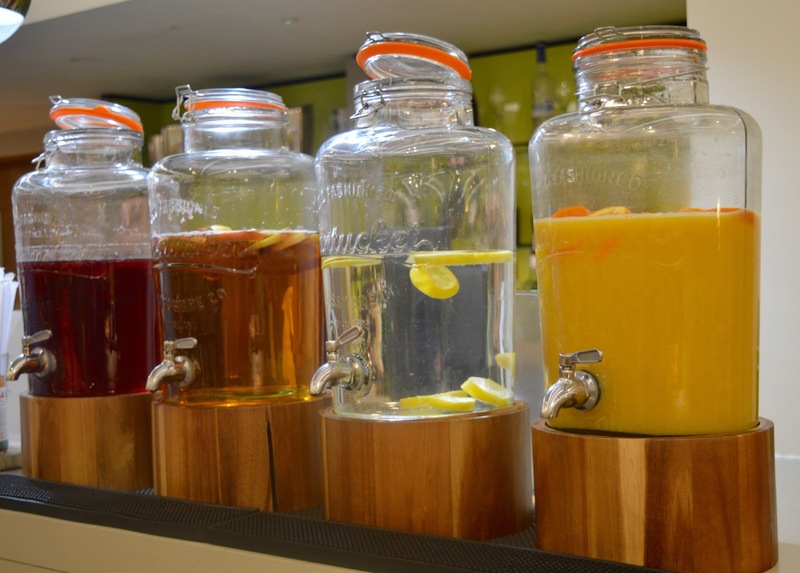 The airport lounges are super easy to find at Manchester Airport - just follow the signs! Our flight was at 12noon with boarding starting at 11am so I did wonder whether the lounge would be worth it for a morning flight (when you won't be drinking as much). After our experience, I really think it is. Prosecco is now included as part of the complimentary drinks range so although it was only 9am when we arrived, we decided to start our holiday in style. 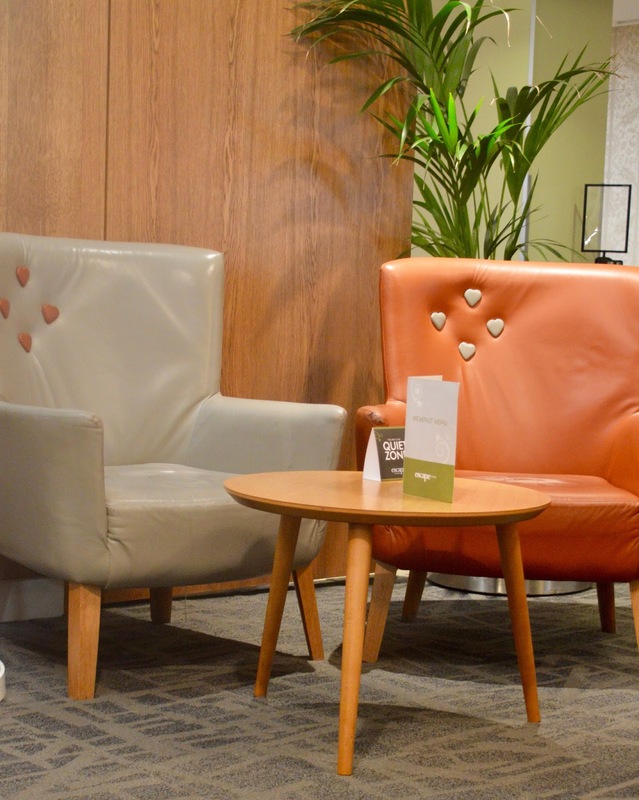 There are a range of seating areas and styles to choose from in the lounge from desks where you could work, to dining tables and chairs and lazy boys in the quiet corner. The seats were all super comfy and way more stylish than the plastic rows of chairs you have to sit on in the main airport terminal. You can order a selection of cooked breakfast items from the bar - some items such as bacon and sausage baps are included, other items such as a full English are available at an additional charge. We went for 2 bacon sandwiches which were promptly delivered to our table and actually tasted ok. I was expecting something similar to what you'd find in Greggs but these ones were better - the bacon was lovely and crispy just how I like it. 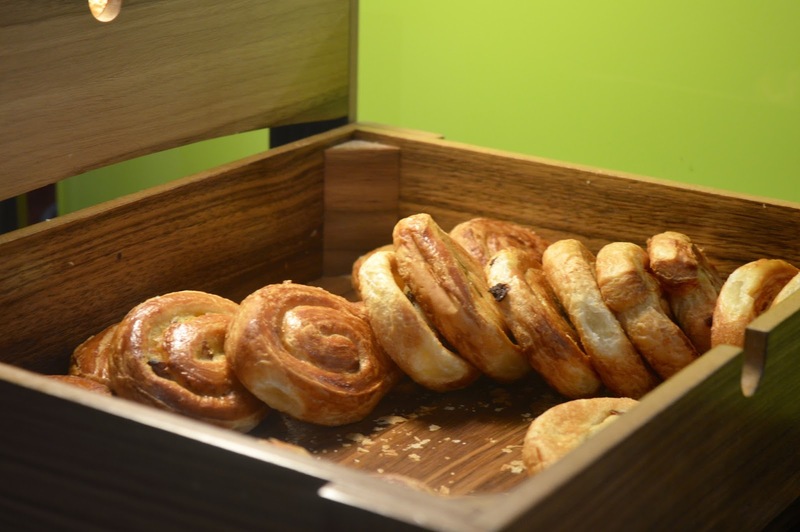 As well as the cooked items, you can also help yourself to a continental style buffet. The juices, pastries and yoghurts were all delicious but we did feel like the continental meats and cheeses let the side down a bit. 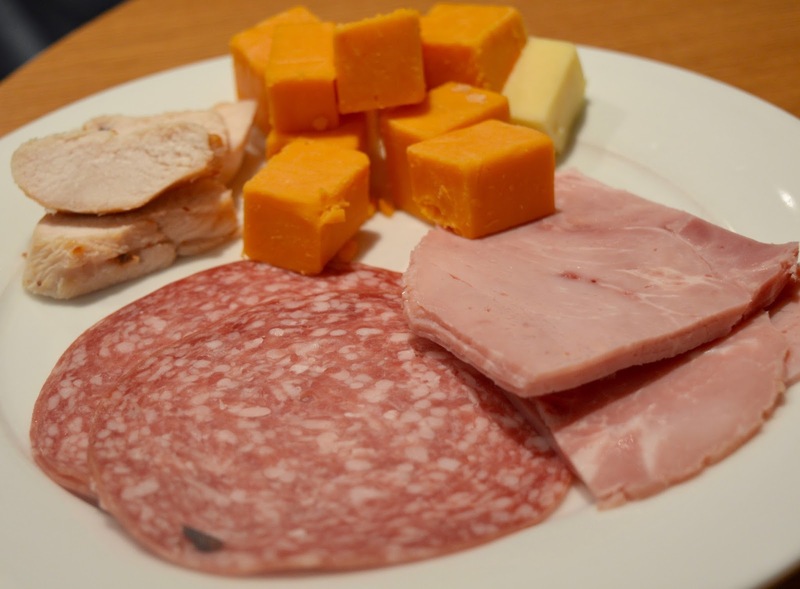 I was expecting Serrano Ham, Chorizo and Continental cheeses rather than ham and chicken that looked like it had come straight from a packet from Asda along with cubes of cheddar. I did like that you could just help yourself and we kept our table topped up with Danish pastries throughout the morning. To beer or not to beer that was the question? 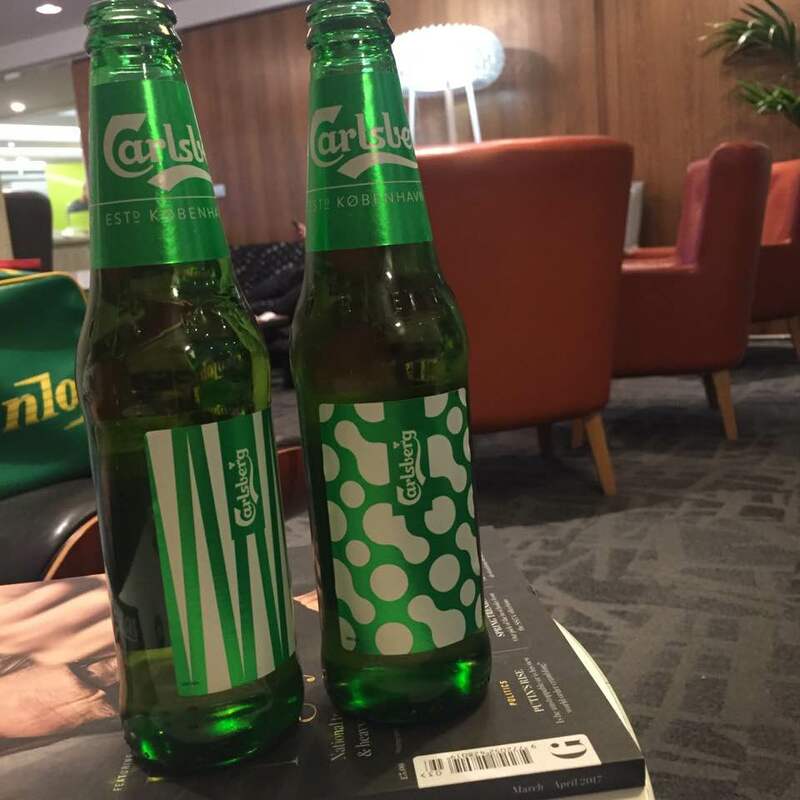 I don't normally start drinking at 10am and wondered if I'd get some strange glances if I cracked open a bottle but 90% of the people in the lounge were doing the same. A selection of complimentary alcoholic drinks are included so as it's free, you will definitely get the best value if you just start your holiday as you mean to go on. 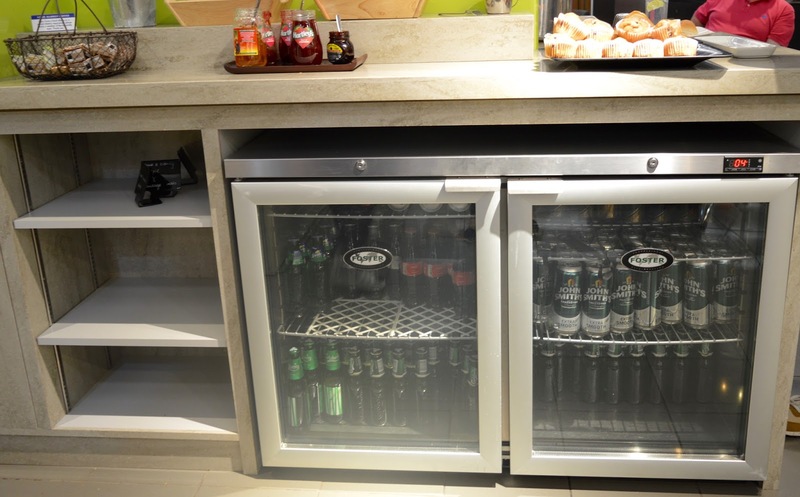 You can order wines and spirits from the bar (a few people were ordering G&T's) or help yourself to beers and ciders from the fridges (as well as soft drinks). I like that you can help yourself as it means no one is judging your 10am drinking habit. 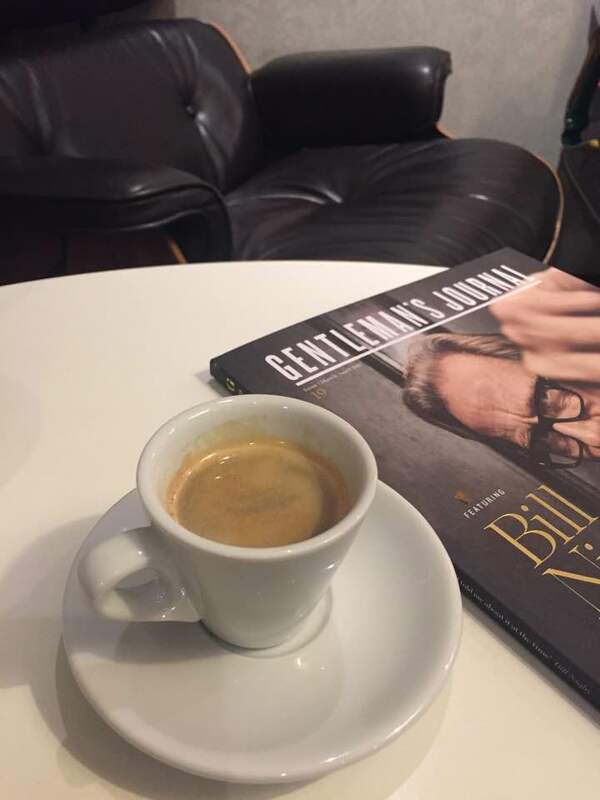 After breakfast, we found a super cosy couple of chairs and spent the next hour or so relaxing, reading the complimentary newspapers and magazines, helping ourselves to a couple of Espressos and more pastries. It was bliss! There is free WiFi and charging points are readily available too. 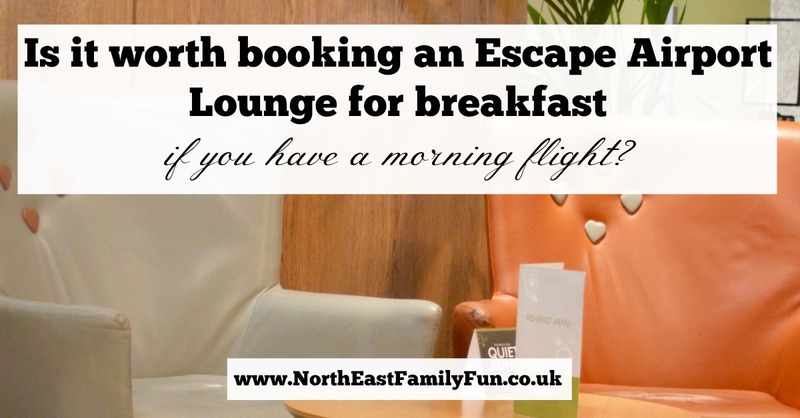 The Escape Lounge T1 costs £22.50 per person to pre-book so we made a saving of £23. I know we might not have spent that much had we just stayed in the main terminal but I definitely think the lounge represented good value for money for us. I think booking into an airport lounge feels like a real treat and it really helps to get you into the holiday mood. If I was travelling as a couple or with friends, I will definitely re-book for a morning flight and imagine spending an afternoon/evening in the lounge would represent even better value for money. If I was travelling with the kids, I'd skip the lounge and spend our cash in WH Smith and Burger King instead. 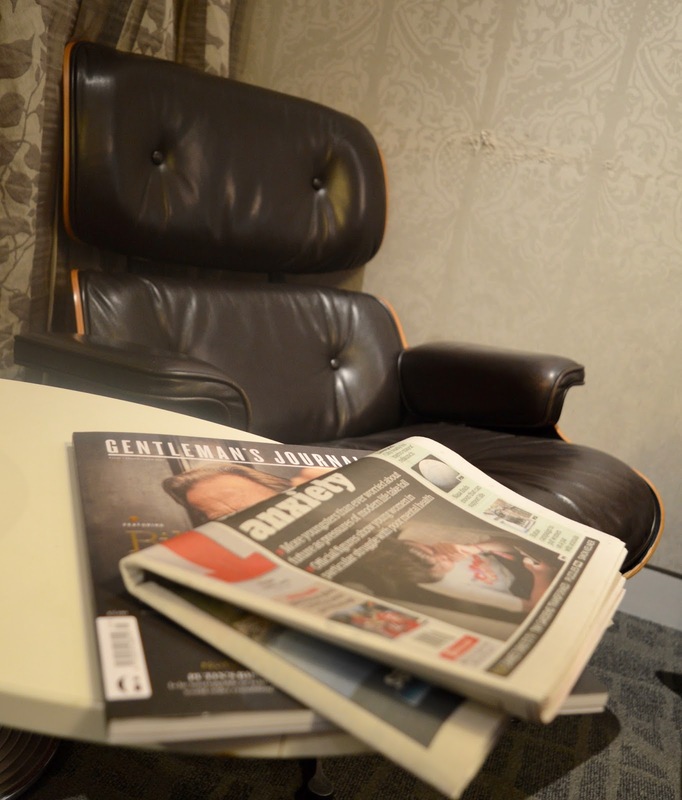 You can find out more and book your Escape Airport lounge here. It does look really comfy and I bet it's so lovely and peaceful. I think I'd really appreciate this if my flight was delayed but on a normal visit to the airport I don't have enough time to do all the things I want - sitting down usually doesn't happen cos I'm charging round duty free. Could be a great place to leave the husband while I shop though .. now there's an idea! I can just imagine you around duty free! I can't be bothered with that! Definitely leave Simon in a lounge next time. A few ladies were having breakfast in the lounge, then heading out to shop and leaving their hubbys with a drink and paper then return for one last drink before boarding. 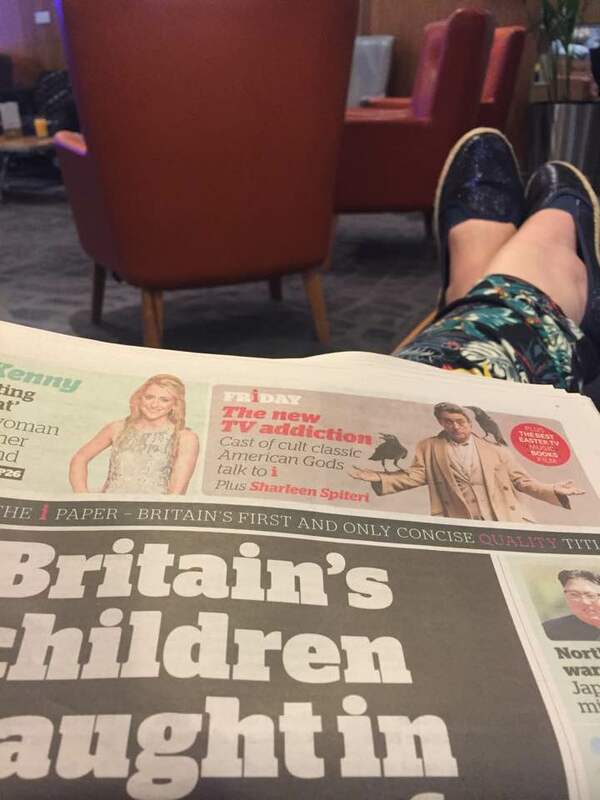 I've done lounges with my daughter once or twice and just having space to sit and relax before the flight can be worth every penny - free flowing drinks and good are obviously a bonus! Haven't cone across these so will have to check them out. Yes it's nice having the space and a lounge doesn't feel as claustrophobic as the main terminal. We did the lounge in East Midlands which was amazing. I definitely agree with the kids thing. We have booked for Newcastle lounge shortly so don't know how that will compare but we flew so relaxed last time! Airports are so expensive and crowded (especially Newcastle), I think it's worth the extra chill time!